The circuits in the brain are more complex than the most powerful computers. 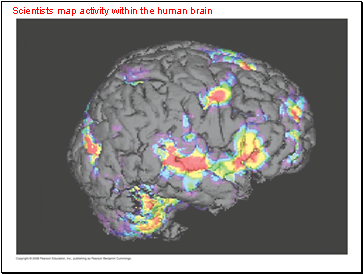 Functional magnetic resonance imaging (MRI) can be used to construct a 3-D map of brain activity. 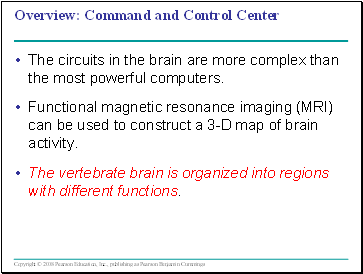 The vertebrate brain is organized into regions with different functions. 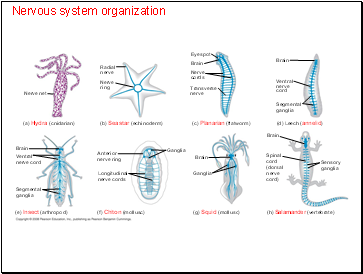 The simplest animals with nervous systems, the cnidarians, have neurons arranged in nerve nets. 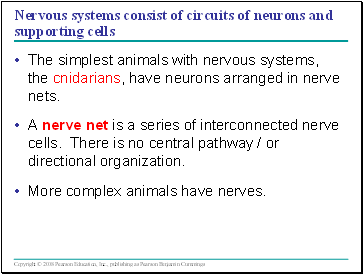 A nerve net is a series of interconnected nerve cells. There is no central pathway / or directional organization. More complex animals have nerves. 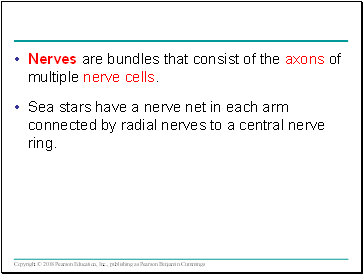 Nerves are bundles that consist of the axons of multiple nerve cells. 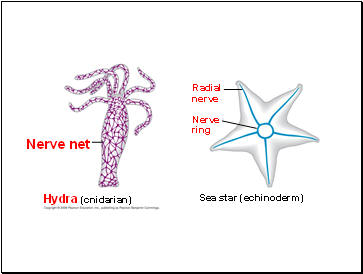 Sea stars have a nerve net in each arm connected by radial nerves to a central nerve ring. 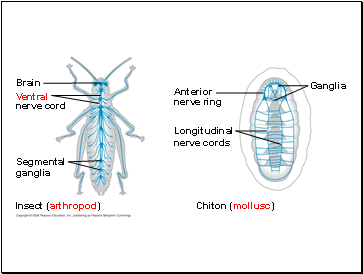 Bilaterally symmetrical animals exhibit cephalization. 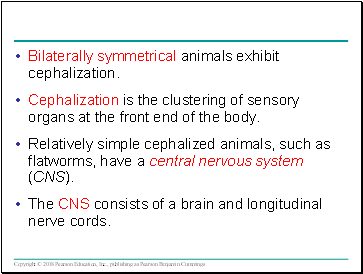 Cephalization is the clustering of sensory organs at the front end of the body. 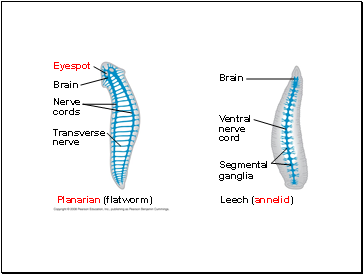 Relatively simple cephalized animals, such as flatworms, have a central nervous system (CNS). The CNS consists of a brain and longitudinal nerve cords.